New [Targeted] Promotion for Southwest Credit Card Holders, But Is It a Good Deal? Southwest has a new targeted promotion for holders of a Southwest credit card that you may want to consider, but I’m not sure it’s really the best use of your spending. 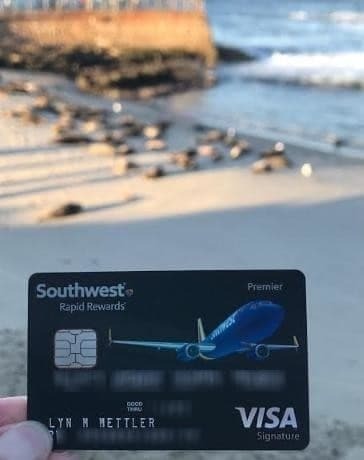 Thanks to reader Jim S. for sharing, however, that he found the offer inside his Rapid Rewards account at Southwest.com! Get a 15% point bonus of up to 15,000 Southwest points on qualifying points. So, if you earn the full 35,000 points by April 30, you’d earn an additional 5,250 Southwest points. These bonus points DO qualify for the 110,000 points you need to earn the Southwest Companion Pass, which lets 1 person fly free with you. Normally, bonus points DO NOT qualify for the Southwest Companion Pass. There are some MAJOR fine print items to note here. Namely, the points MUST POST to your Rapid Rewards account by April 30. Because points earned via credit card spending do not post until after the card’s close date, you’ll want to be sure you complete all spending to earn the 35,000 points BEFORE your April card close date. If you don’t know your card close date, it’s printed on your monthly statement. Additionally, your card must be OPEN on April 30, 2019 to receive your points. Points earned via a credit card sign up bonus do NOT qualify for this promotion, and the promotion is only valid for the person to whom it was offered. To see if you are eligible for this promotion, log into your Rapid Rewards account at Southwest.com. Finally, scroll down to the Promotions tab on the lefthand side and click. See if you have this promotion listed. If you do, you’ll need click the button to “Register” for it in order to earn your bonus points. Is This Even a Good Deal? Not Really. There are plenty of other ways to earn 15,000 Southwest points that qualify for the Southwest Companion Pass. Just have a look at my Rapid Rewards Shopping Deals page for many options that add up quickly or you can book a hotel on SouthwestHotels.com and earn up to 10,000 points per night. To earn the 15,000 points, you will likely have to spend $35,000 on the card, as most expenditures earn 1 point per $1 on the Southwest cards, except for Southwest purchases and those with car rental and hotel partners. That’s a BIG spend. I sure don’t have $35,000 to spend!! If you’re going to spend that much and want Southwest points, I think you’d be better off using Chase Sapphire Preferred or Chase Sapphire Reserve, which at least earn you DOUBLE and TRIPLE points on travel and dining expenses. Then you can INSTANTLY transfer them to Southwest points at a 1:1 ratio. If you don’t have either of the Chase Sapphire cards, and don’t want one (even though these are my FAVORITE travel cards :)), and you’d like some more Southwest Companion Pass-qualifying points AND you have $35,000 to spend, then go for it! I received that same targeted promotion except the earning requirement is 10,000 not 35,000 on my offer. Also my read is you would have to spend or earn 100,000 points not 35000 as the offer is only “15% up to 35000 points”. I got: Have 10,000 or more points posted to your RR acct from my SWA credit card Feb – Apr and get 15% bonus. Max bonus is 15K, which is 100,000 regular points posted to my RR acct.!! These bonuses will be given by SWA, not Chase. Not great, but if spending anyway to earn CP, then a nice surprise.